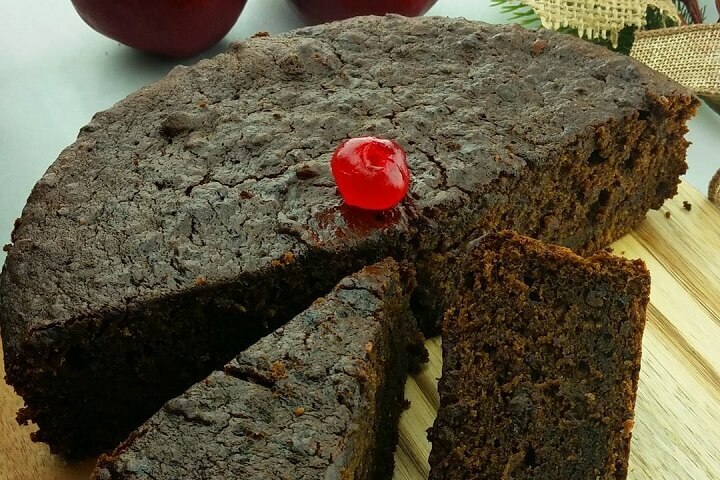 Made throughout the Caribbean in slightly different forms, Black Cake is a gorgeous, dense, boozy treat that you'll look forward to all year long. I hesitate to even call it a fruitcake because it bears no resemblance to the stained glass versions that you may think of when you see that term. You'll find several recipes for it online, including a complex New York Times version and simpler family recipes, but this Jamaican version is the one I like best. I've tweaked it a bit over the years as I've found what works for my taste. The important thing is that you start soaking the fruit NOW. You want it to really absorb all the alcohol before grinding it. The resulting paste will make a gorgeous, rich cake that everyone will love. 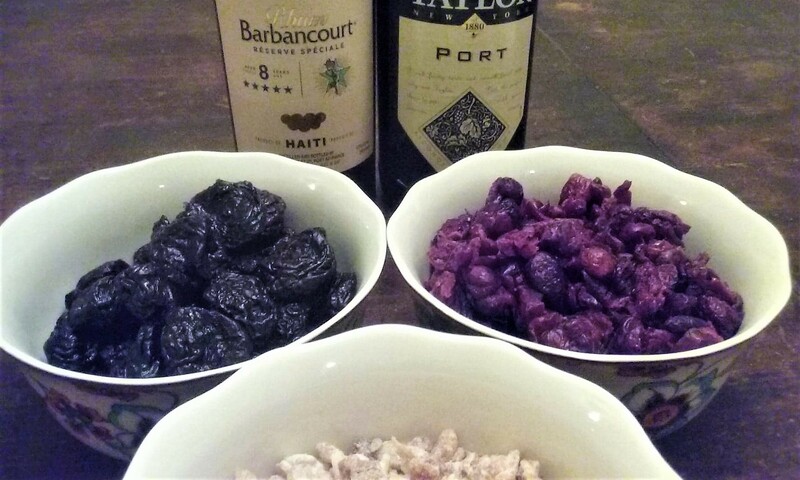 At least a week before baking the cakes, put your dried fruit in two clean, dry jars and add three parts port to one part rum, enough to submerge the fruit. You can use more fruit if you'd like -- it's good on ice cream or baked into bread pudding if you have leftovers. Store in a cupboard until you're ready to bake. Grind to a paste in a food processor before adding to your cake mixture. Preheat your oven to 300. Butter and flour two 9" round cake pans. In a stand mixer or with a hand mixer, cream together butter and brown sugar. Add the eggs one at a time, mixing constantly, until smooth and light. Add the browning and the vanilla and mix well. Add 4 cups of the fruit paste and fold in gently. Combine your dry ingredients in a bowl and fold it in, one cup at a time, mixing with a wooden spoon. Do not overwork the batter at this point. You should have a thick batter, but not spoon-standing-up-in-it thick. If you need to thin it a bit, add more fruit paste. Put a roasting pan half full of water on the lower rack and slide your cake pans on the top rack of the oven. Bake for 60-75 minutes and test with a toothpick in the center. Don't worry: the cake will settle once it cools. Here's the fun part. Once it's cooled enough to handle, GENTLY turn the cake out onto a piece of foil or parchment paper. Brush the still-warm top with straight rum or a rum/simple syrup mix. Continue to "feed the cake" with the rum or syrup for at least 4 more days. You can store it in a double layer of foil or plastic wrap in a cake tin or storage container. Traditionally, the cake is served at Christmas just like this. If you want to get fancy, you can top it with a thin layer of rolled marzipan and royal icing, but it's not necessary. That's more for using it as a wedding cake. Do yourself a favor and reserve a little batter to bake a small cake on the side. You'll want to taste your creation before you decide on your final presentation. I like it dusted with powdered sugar or served in wedges with vanilla ice cream. 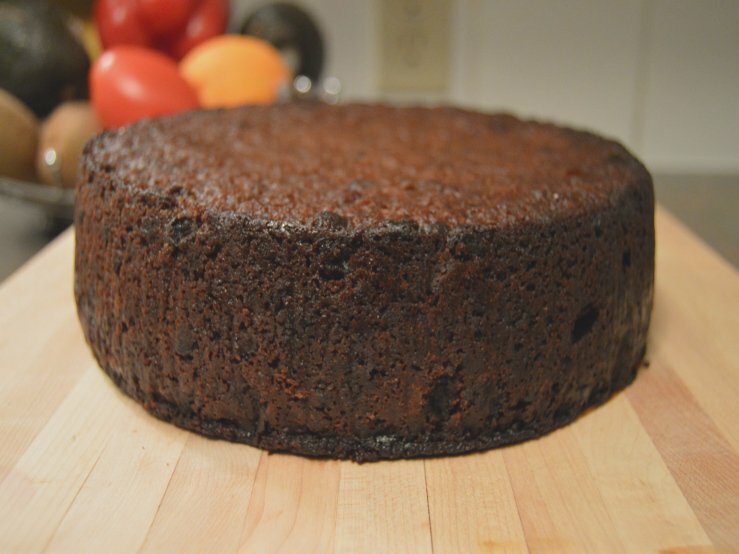 Have you ever had or made a Black Cake? What variations do you use? If you try it this year, post a picture of your final product in the comments below! Have you ever heard of a pumpecapple cake? You have to see this layered pie cake beast to believe it.